A large fraction of the global aerosol population is inhomogenously distributed within the free troposphere and the planetary boundary layer. The working group on ground-based remote sensing applies and developes techniques that enable the detection and characterization of these aerosol layers. 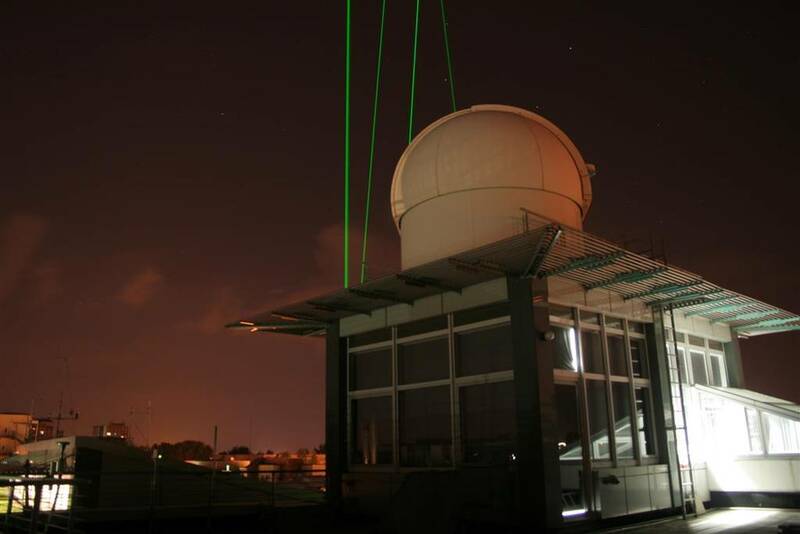 The lidar technique is in particular suited for the range-resolved observation of aerosol properties. The majority of the lidar systems that are run in our working group was developed and assembled at TROPOS. Also the data analysis tools are in general developed in our working group. The lidar measurents provide information about the spatio-temporal distribution of the aerosol in the atmosphere. With the instrumentation available at TROPOS aerosol particles can be detected between approximately 100 m above ground up to stratospheric heights of 30 km. By means of optimized data analysis techniques the optical properties, the type, and the microphysical properties of the observed aerosol can be determined. Characterization of aerosol properties in climatological key regions: The numerous lidar systems operated by our working group provide data sets for various key regions of global climate. These regions are either characterized by strong local aerosol sources or by long-range transport of aerosol. Examples of both scenarios are the strongly anthropogenically influenced region of southeastern China (PollyNet) or the region of Barbados whose aerosol conditions are dominated by long-range transport of Saharan dust (SALTRACE). Aerosol typing based on measured optical properties and on model calculations of the aerosol source region. To estimate the effect of aerosols on the atmospheric radiation budget knowledge on the aerosol optical properties is of required. When, in addition, the aerosol optical properties can be related to the aerosol source region and thus to the aerosol type, one can determine the radiative effect of distinct aerosol species. Continuous determination of aerosol optical properties. The analysis of lidar measurements during daylight conditions is generally subject to increased uncertainties due to the presence of high solar background signals. Techniques that are based on a combined analysis of lidar measurements and Sun photometer observations are a promising tool to increase the accuracy of daytime retrievals of aerosol optical and microphysical properties. Respective methods are developed and applied in our working group (see here). Also new lidar techniques, such as the high-spectral-resolution lidar technique (HSRL) allow an accurate determination of aerosol optical properties during day- and nighttime. Hygroscopic growth of aerosol particles. At TROPOS, the effect of changes in relative humidity on the optical and microphysical properties of aerosol particles under ambient conditions are investigated with the Spectral Aerosol Extinction Monitoring System SÆMS (see here).